Years ago I had a art world boss who would talk about his red eye flights from LA to NYC. He would do a lot of cocaine and then 'pretend to sleep' and just let his mind race. My flight last night was like that, but sub the coke for camomile tea and a smushed piece of zucchini bread from Tartine that I resurrected from the depths of my pocket book mid flight. (My mom's is actually better). I can't sleep on planes, and red eye flights are my worst nightmare. 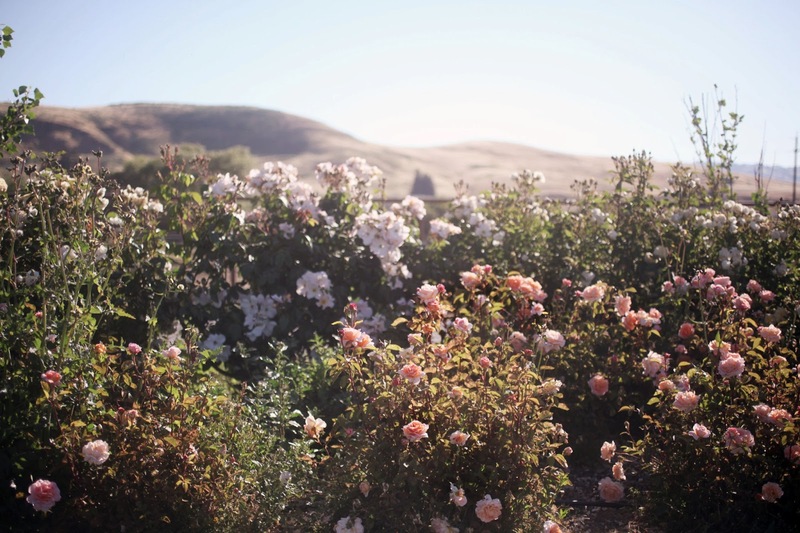 The past week in northern California was a furious one for Nicolette and I, filled with fast convertibles, hot tubs, great food, bold faced flower names and then of course the unglamorous schlepping hauling and hustling that goes with all of that. The ying with the yang, if you will. I am tired, beat up... and was thrown to the curb of my abandoned Brooklyn apartment somewhere around 6am this morning. Amazingly my houseplants all looked well, or at least a lot better than I do. Tonight, starting to unpack all my pictures and dirty laundry I'm trying to make sense of it all. The students with their eager hunger -- I wish I had hours alone with each and every one of them. They inspire me to be better, to work even harder, to have more to give them. Juna, Meg, Courtney, Donna, Barb and everyone -- you are everything, the pinnacle in this crazy journey that is our work. We will of course give you all the details soonest. But until then I wanted to impart an early thanks to all those people who I am truly blessed to call my friends in this flower fight and say a special thanks to my dearest friend Nicolette: you drive a mean mustang, and one day I'll learn my left from my right for the purpose of navigating. You are smarter and more clever than I could ever wish to be. I have never met anyone who loves flowers the way you do...with all of yourself and for no reason other than the immediate pleasure of bearing witness to their fleeting, ephemeral beauty. The luckiest florist. I can't wait to hear and see more. I have been craving more nature lately. and patiently awaiting the opening of all my own flowers. Beautiful. You, your writing, Nicolette, your students (wish I could be one of them). Lucky florist. I'm changing the name of my shop immediately. You are absolutely amazing and we are all incredibly lucky to have YOU in our lives! Sarah! The class was amazing and though I'd LOVE hours alone with you too, I am grateful for the time and attention you gave me. And I will be back for more, you aren't rid of me yet! Hope you had a chance to recover before you dove back into shoveling and such. Thank you, thank you, thank you! Just discovered this blog. Wow. Something about it makes me feel like you're in some parallel dimension where everything looks like you're seeing it through a stocking and the planet isn't overpopulated and there isn't war and famine and hate and dogs being eaten and your biggest problem (which is not a trifling matter of course) is flooding, but it's okay because Lassie saved Timmy from drowning in the well and Mam is going to make everyone tea and biscuits and you'll try again tomorrow. I want to live there too. your words are endlessly inspiring. honest and beautiful. myself, a budding flower grower, the truth about the schlepping and hauling amidst the beautiful pictures is...a relief! thank you!